By Geng Chen – Edited by Ashish Bakshi [caption id="attachment_4393" align="alignleft" width="300"] Photo By: Robert Scoble - CC BY 2.0[/caption] Microsoft Corp. v. DataTern, Inc., No. 13-1184 (Fed. Cir. Apr. 4, 2014) Slip Opinion The United States Court of Appeals for the Federal Circuit affirmed in part and reversed in part the United States District Court for the Southern District of New York’s rulings in a consolidated declaratory judgment action brought by Microsoft and SAP. Slip op. at 3. The two companies sought a judgment of noninfringement and invalidity for two of DataTern’s patents (the ‘402 and ‘502 patents). See id. at 4. DataTern challenged the district court’s finding that it possessed subject matter jurisdiction over the action because there existed a “substantial controversy . . . of sufficient immediacy and reality to warrant the issuance of a declaratory judgment.” Id. at 5 (quoting MedImmune, Inc. v. Genentech, Inc., 549 U.S. 118, 127 (2007)). The Federal Circuit affirmed with respect to most of Microsoft’s and SAP’s claims, as DataTern’s previous infringement suits against those companies’ customers impliedly asserted contributory and induced infringement claims against the companies themselves. See id. at 9–10. PatentlyO features a thorough analysis of the decision. Mondaq provides additional analysis. In a series of previous cases, DataTern sued several of Microsoft’s and SAP’s software customers, alleging infringement of its ‘402 and ‘502 patents. Id. at 3. Many of these infringement claims relied on user guides and online documentation related to the Microsoft and SAP software that DataTern alleged was infringing. See id. The two companies never indemnified those customers, nor did DataTern ever sue the companies directly. See id. at 4. However, the two companies eventually sought a declaratory judgment that the ‘402 and ‘502 patents were invalid and that their products did not infringe those patents. See id. The district court denied DataTern’s motion to dismiss for lack of subject matter jurisdiction. See id. The Federal Circuit held that “where a patent holder accuses customers of direct infringement based on the sale or use of a supplier’s equipment, the supplier has standing to commence a declaratory judgment action if . . . there is a controversy between the patentee and the supplier as to the supplier’s liability for induced or contributory infringement.” Id. at 6 (quoting Arris Group, Inc. v. British Telecommunications PLC, 639 F.3d 1368, 1375 (Fed. Cir. 2011)). Although Microsoft and SAP did not have standing to seek a declaratory judgment merely on the basis of DataTern’s lawsuits against their customers or on the basis of their customers’ requests for indemnification when those requests were without merit, see id. 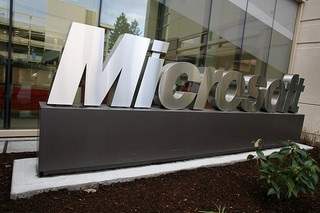 at 7, DataTern’s claims against those customers revealed sufficient support for each of the elements of contributory and induced infringement against Microsoft and SAP that the Federal Circuit found a “substantial controversy” regarding the claims related to the ‘502 patent and SAP’s claim regarding the ‘402 patent. Id. at 9. However, DataTern’s claims against Microsoft’s customers for infringement of the ‘402 patent did not support Microsoft’s declaratory judgment action with respect to that patent, since DataTern’s evidence in those claims involved third-party documentation and other materials not produced by Microsoft itself. See id. at 10. Chief Judge Rader dissented in part and would have held that the district court had jurisdiction over all of SAP’s and Microsoft declaratory judgment actions. Slip op. at 2 (Rader, J., dissenting). Judge Rader noted that “[t]he practical effect of [the majority’s] holding creates a roadmap to allow DataTern and its successors to keep Microsoft on the sidelines while running up wins against customers, who are often smaller and less-equipped to defend themselves.” Id. at 3. Had the Federal Circuit applied a flexible totality-of-the-circumstances test, Judge Rader argued, it would have found sufficient facts to show standing for all four declaratory judgment actions. See id. at 3. In light of the majority's holding, companies seeking to shield their customers from claims of direct patent infringement will need to point to specific facts in the record to show a substantial controversy on issues of contributory and induced infringement. Whether patent holders can continue to keep these suppliers out of court simply by citing to third-party documentation in their end-user lawsuits remains to be seen.